NC REALTORS® Housing Foundation volunteers and NC REALTORS® staffers have been on the front line, working in conjunction with NAR’s REALTOR® Relief Fund, in this major undertaking. Over the last five months, NC REALTORS® has approved $315,826.47 worth of requests for 320 applications. These amounts are final. NAR has provided funding of $306,696.14 for 315 applications. These amounts are final. NC REALTORS® has completed all Hurricane Matthew funding efforts. On October 1, 2016, Hurricane Matthew gained strength over the eastern Caribbean as a Category 5 storm. On October 4, Matthew made landfall as a Category 4 storm in Haiti and Cuba. 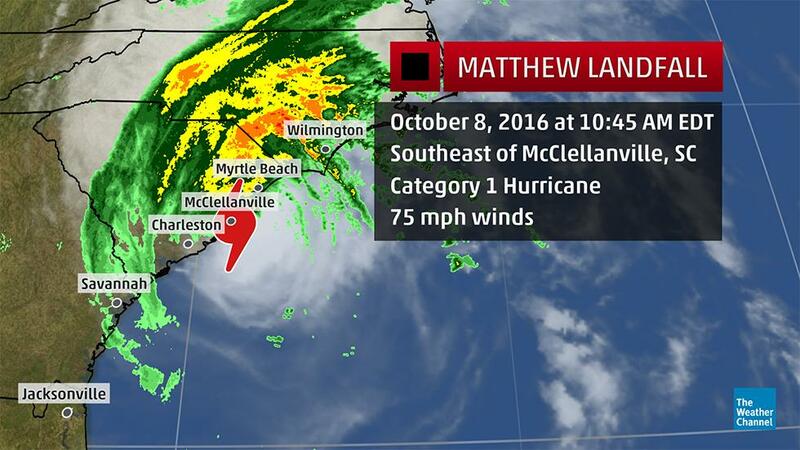 On October 8, Hurricane Matthew made landfall in the United States as a Category 1 storm with 75 mph winds at McClennanville, SC, and we all held our breath. We extended our thoughts and prayers to the residents of our beautiful beaches. Initial reports of the storm’s progress gave North Carolinians hope that our coastal areas, while battered, had largely escaped massive damage. But our hearts soon melted as Matthew lingered significantly inland over eastern North Carolina. The Category 1 Hurricane unleashed heavy rainfall over areas upwards of 40 miles from the coast. The North Carolina Department of Insurance estimates that the storm dumped 17 inches of rain over ground already saturated by the previous Hurricane Hermine. Inland rivers rose to levels never recorded, washing away homes and lives with unexpected force and devastation. The death toll in the United States is estimated at 43 and rising with 28 of those deaths reported in North Carolina. State officials have released estimates of $1.5 billion in damage to over 100,000 homes, business and government buildings. The impact to agriculture, the key industry of eastern North Carolina, has yet to be tallied. FEMA and other relief organizations arrived immediately to aid individuals. Now, four weeks after the storm, many relief organizations are leaving. North Carolina authorities are still grappling with the effects of Hurricane Matthew. Governor Pat McCrory has called for a special session of our state legislature to discuss and understand the destruction left in the storm’s wake. Many residents have lost everything — clothes, diapers, food, medicine. But housing remains an urgent and ongoing need. One of the saddest elements in this tragedy is that Matthew hit the most poverty-stricken areas in the nation. US Census officials have named Robeson County, NC, as “persistently poor,” and post-2010 Census analysts named Lumberton, NC, as the poorest city in the United States in 2013. Many displaced residents had few resources prior to the flooding, and now, many have lost any resources they had. The situation on the ground is dire. 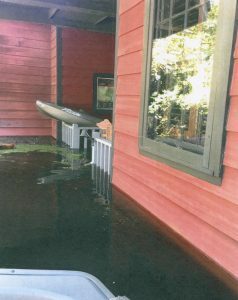 As you can imagine, most affected residents do not have flood insurance. Many elderly residents own their home outright and lack the resources (phone, transportation, internet access) to complete applications for temporary housing assistance. Others rent and have now expended all their FEMA temporary housing funds. They must find shelter and pay rent on their damaged housing. Our NC REALTOR® volunteers have also talked with victims whose homes were filled up to the second floor with flood waters. These families pay over $1600 per month in mortgage obligations and are paying for a temporary rental property while contractors attempt to assess their damages. Many residents have not been allowed to enter or come near their properties because municipal governments have expressed safety concerns. Our volunteers are comforting victims who were denied federal temporary housing funds and attempting to live in mobile homes with disintegrating particle board flooring, no functioning wiring, roof and crawlspace damage. Put in the simplest terms, the need is great. In response to the need, the NC REALTORS®’ Executive Committee has generously donated $80,000 to the national Relief Fund organized by the National Association of REALTORS® (NAR). NC members have begun matching the $80,000 commitment. As of November 4, more than $5000 has been raised. NAR has committed $300,000 from the Relief Fund specifically earmarked for North Carolina Hurricane Matthew victims. So how does that work in practical terms? Up to $1000 can be awarded per applicant for mortgage payments, rent payments or temporary housing assistance for applicants demonstrating need. To give you a snapshot of our activity since Matthew hit, we have compiled some statistics current through 5 pm, November 3. Over 50 volunteers have distributed applications to flooding victims. While their man hours on the ground are countless, we know that they have volunteered for at least 19 days on the ground in Lumberton, Kinston, Greenville, New Bern, and Fayetteville. NC REALTORS® estimates that we have reached at least 3200 residents, conducted 2 clothing drives and sent at least 3 trucks full of supplies to affected areas. Thanks to the efforts of volunteer coordinators like Fayetteville REALTOR® of the Year Wendy Harris, applications are coming in to our state headquarters. To date, we have processed 325 applications. Of these, 99 percent require call backs from volunteers who explain the need for follow-up documentation and how, with their limited resources, victims can send their documentation to us. Volunteers from the NC REALTORS® Housing Foundation Board of Directors have spent at least 40 hours on the phone with current applicants to walk them through the process. Of the applicants, we estimate that 10 percent are homeowners, 80 percent are renters, and 10 percent own their property outright and seek temporary housing. To date, we have approved 44 applications for $37,000. We anticipate that volume to increase. 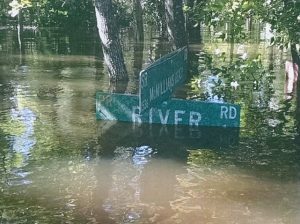 A REALTOR® member shares photos of her attempts to access her street and home after the flooding.